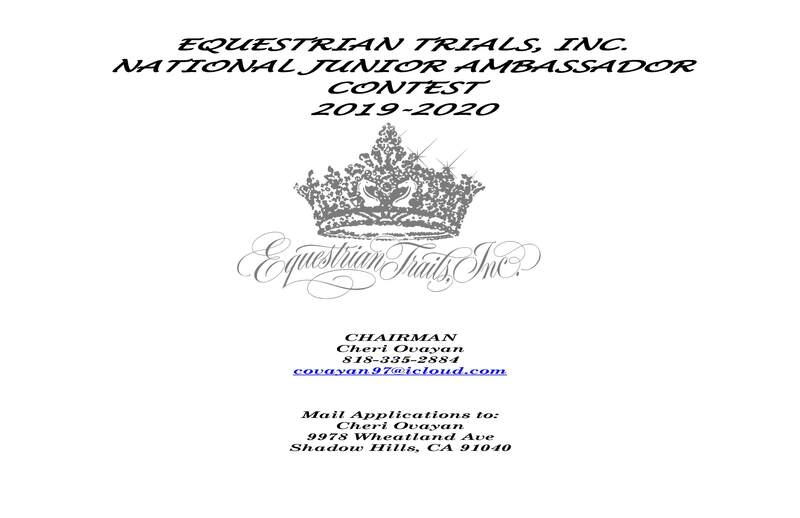 JUNIOR AMBASSADORS - Equestrian Trails Inc. The Junior Ambassador Program has been in existence since 1955. Originally created for young ladies, in 1995, boys were extended the opportunity to participate in the program as well. The program has helped girls and boys to grow into articulate and confident young people through their participation in the Ambassador Program. The Junior Ambassador program is open to all ETI members ages 5-21. The program allows young men and women to learn responsibility and communication between people and their community. 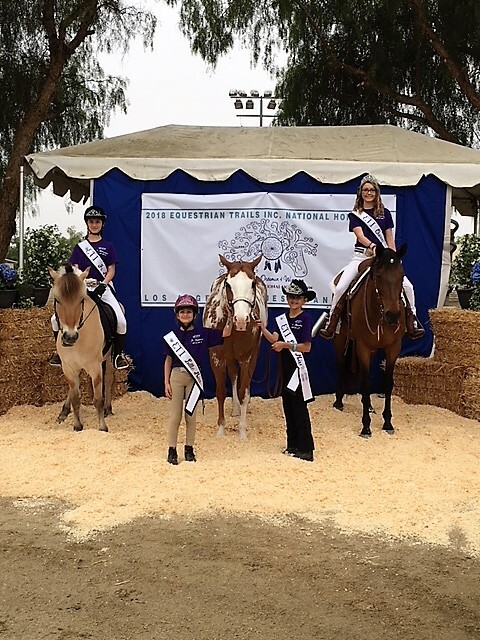 Areas of competition for a Junior Ambassador include: horsemanship test (in their discipline), a written test, poise and personality. 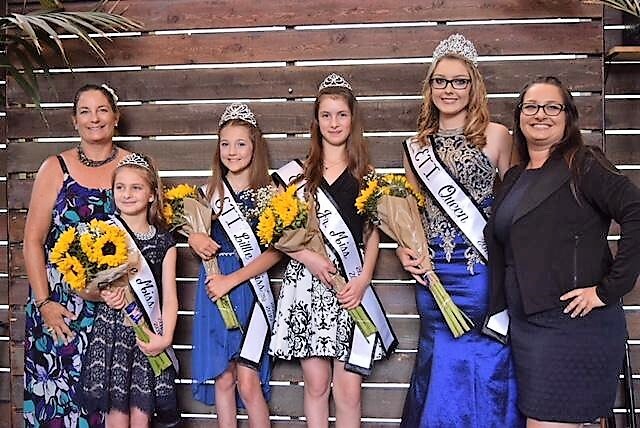 The newly selected ambassadors and their court will be expected, as part of their duties, to represent ETI at official functions and events such as dinners, meetings, parades, trail trials, shows, etc. These functions will be selected and approved by the Junior Ambassador Chairperson. Would you like to be an ETI Junior Ambassador? Then download the application packet here!